In this transformative age, organizations need to manage the evolution of their culture by building strong foundations, but also by letting technology and innovation be the catalyst for change. Passionate about our clients and the power of our global organization. Driver of growth and innovation. Relationship builder. Sports enthusiast. 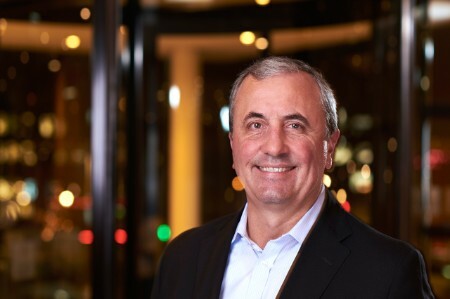 Carmine was appointed Global Chairman and CEO-elect on 17 January 2019. He currently retains his previous role as Global Managing Partner – Client Service and leads the execution of our global strategy. He has overall leadership for our four geographical areas and four service lines so that our 200,000 client servers can provide exceptional service wherever our clients do business. Carmine has spearheaded our innovation efforts, managing a US$1 billion investment in new technology solutions over the next two years. He helped to create the Global Innovation team to redefine how EY uses technology to both transform existing services and create new solutions. As a leader of our acquisitions and alliances strategy, he has helped expand EY offerings in a wide range of new and emerging fields. Since joining EY in 1985, he has served as an Advisory and Assurance Partner for many of our largest financial services accounts and held several leadership positions. Carmine has a BA in Chemistry from Colgate University, an MBA from New York University’s Stern School of Business, and is a practicing CPA. “I enable our people at EY to use the power of our global organization. By bringing together the best talent and the latest technology, we can help our clients drive transformative innovation and become better working businesses. I co-chair our Global Diversity and Inclusiveness Steering Committee, which works to maximize the power of different opinions, perspectives and cultural references within our organization. This work is crucial to build the highest-performing teams in the profession and to develop outstanding leaders. To help promote trade and innovation, I serve as an advisor to the Future Economic Development Board for China’s Guangdong Province.